Brrrr, and this is May! 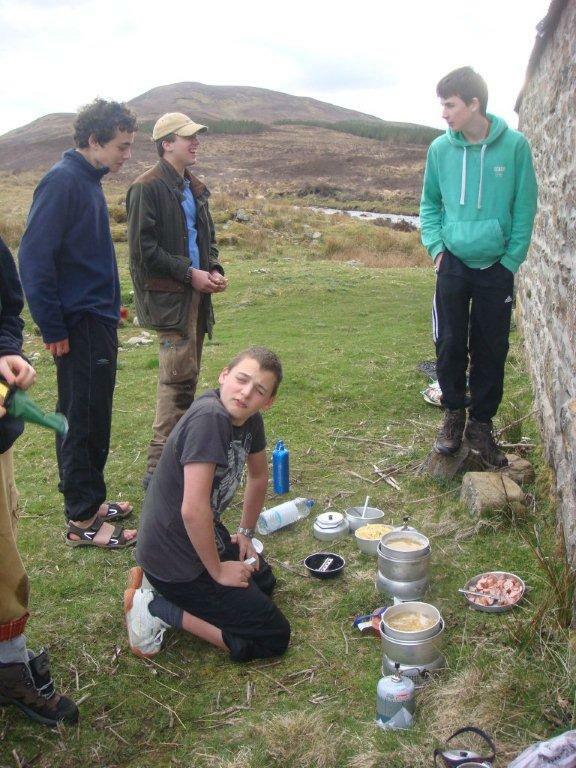 And so our 5th year visiting Croick Estate and Creag Mohr bothy with Dornoch Academy 3rd year Bronze Duke of Edinburgh Award groups has passed – 52 young people of all ages, abilities and interests have passed through this estate and its remote bothy. 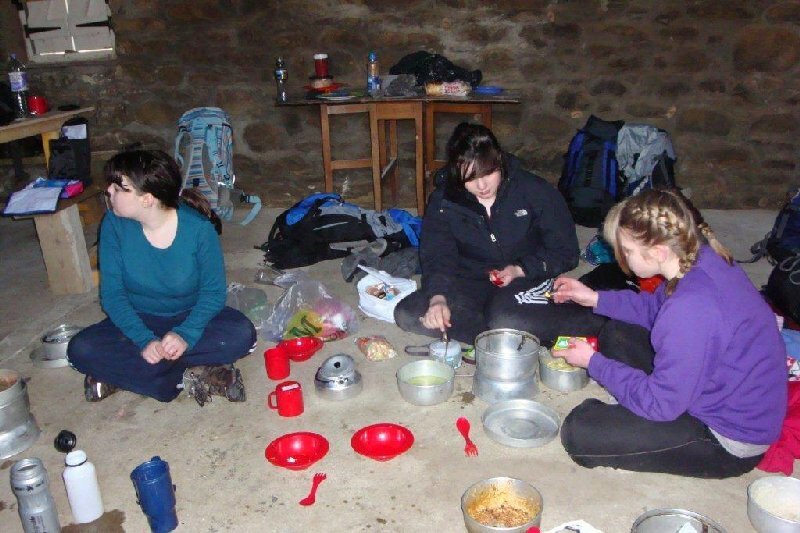 We, as expedition leaders first encountered the bothy when it was ‘roofless’ (quite different from now!) 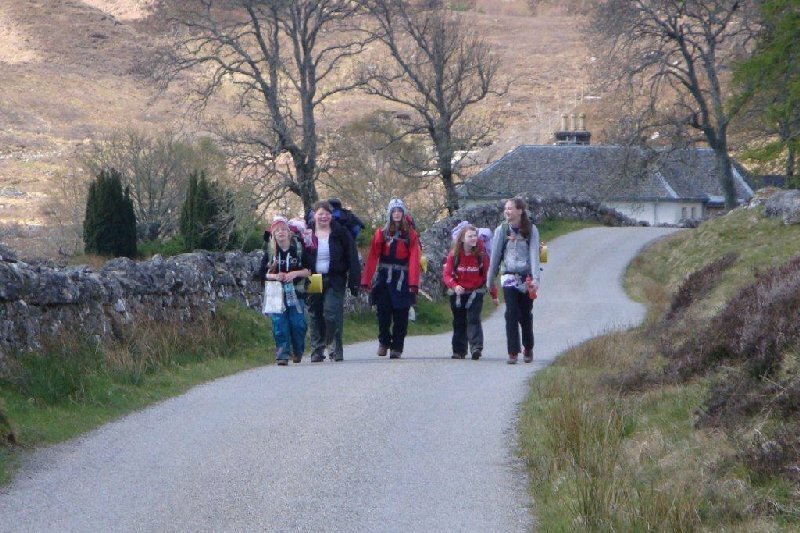 and since then it has been the ideal ‘training’ ground for local pupils for DofE Bronze and Gold. We have sheltered, sunbathed, ‘tied down the hatches’, escaped and dried off the wet (and this week May SNOW! ), and more…. over the years….. 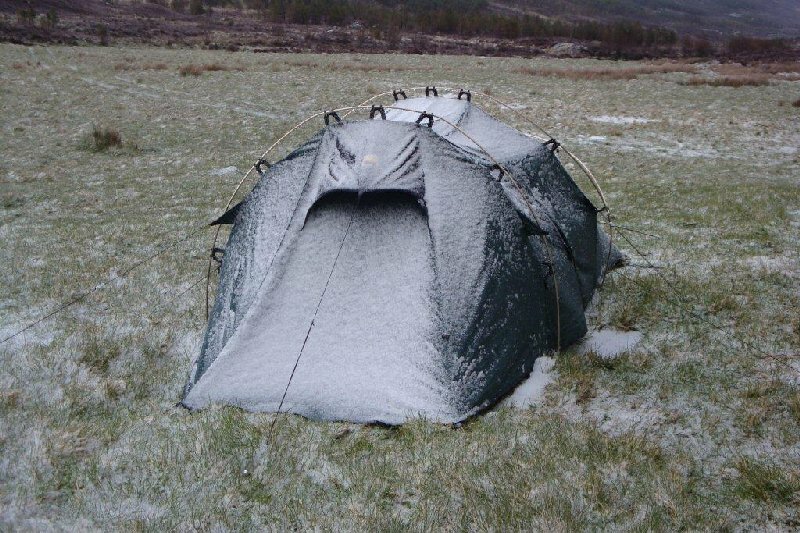 Cold May temperatures have been the order of the expeditions this year which have seen us supervise groups of 14 maximum through the valley from Oykel to Croick Church with overnight camp at Creag Mohr. 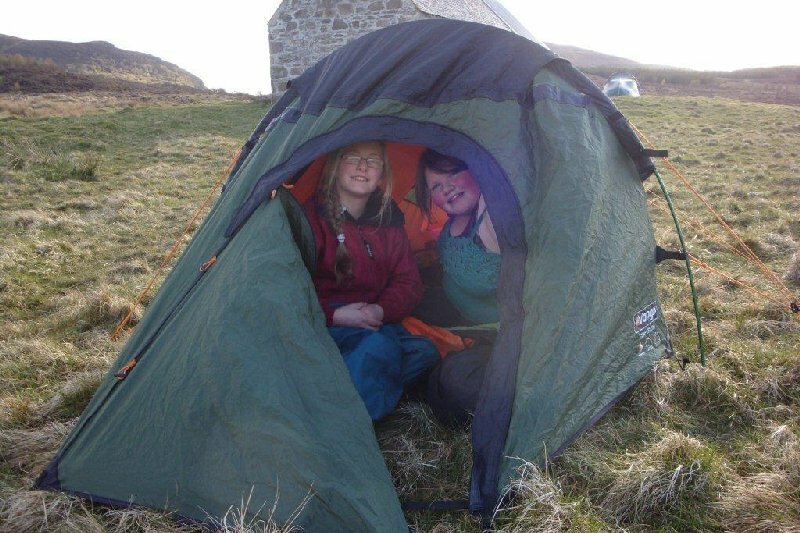 The groups now go on to do their Bronze assessed expeditions in the next valley of Glencalvie, and hopefully many will return to do their Gold, all passing once more through the Croick estate and Creag Mohr bothy on their way to Ullapool on their ‘coast to coast’ Gold practice, dipping toes in the North Sea and the Atlantic! 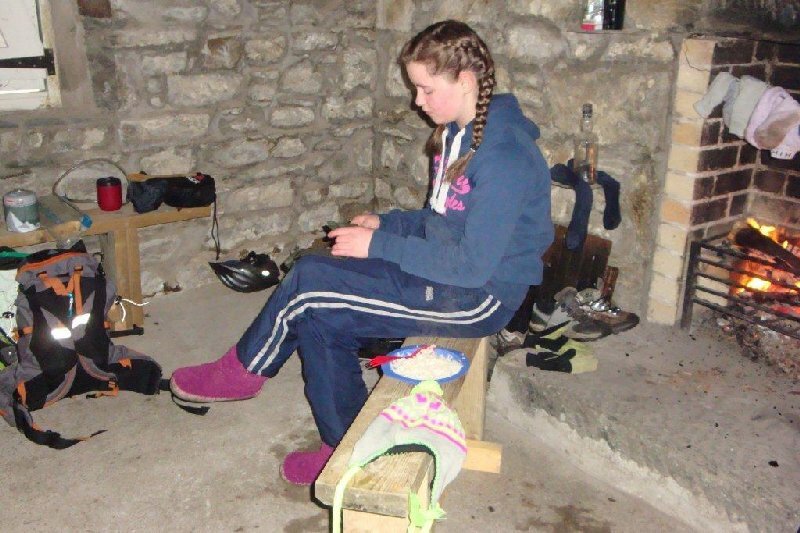 Our thanks to Croick estate owners and stalker/keeper for their understanding and providing an excellent bothy (and refuge) for us all to share. 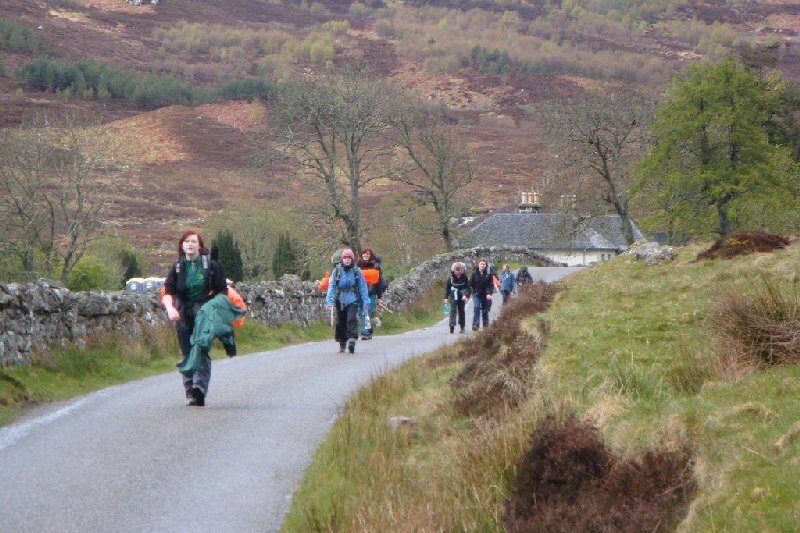 Also to Dornoch Academy for their foresight in providing ALL pupils in 3rd year the opportunity to experience the outdoors and hopefully drop ‘pebbles in an ocean’ for the future of young people who embrace this experience. In the longer term it is just this type of experience that encourages individuals to return and revisit in years to come. 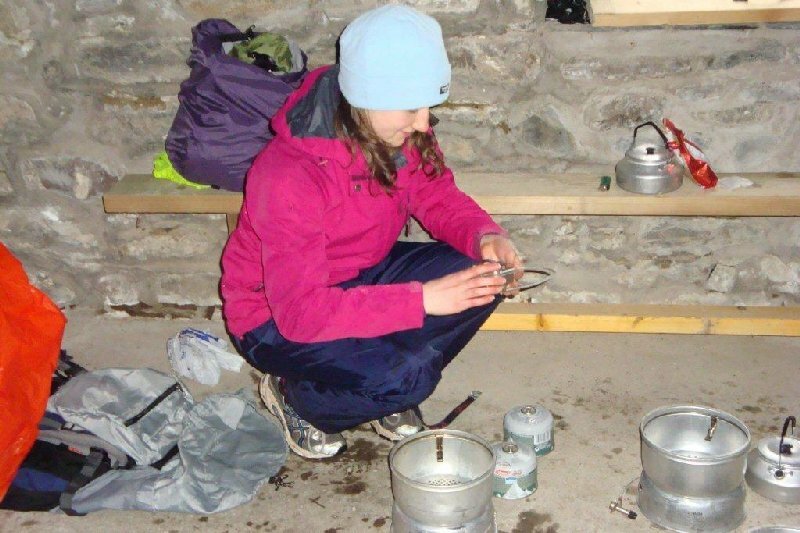 This entry was posted in Uncategorized and tagged Croick, Dornoch Academy, Duke of Edinburgh award scheme. Bookmark the permalink. Now that’s a wonderful thing, seeing the young ones out like that. Gorgeous countryside and a chill in the air enough to wake one up.